Kamenetz will speak at 7 p.m., Thursday, Feb. 1 at Ox Ridge School. Her talk is sponsored by the YWCA of Darien/Norwalk. Her stop in Darien is part of the author’s tour for the book, which goes on sale Jan. 30. 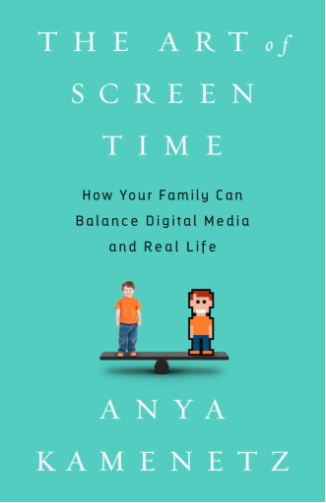 This brief but powerful dictum forms the backbone of Anya Kamenetz’s philosophy in The Art of Screen Time: How Your Family Can Balance Digital Media and Real Life (on sale Jan. 30). Kamenetz — National Public Radio reporter, author, and mother of two young children — delivers a deeply-researched, honest, and refreshing view on managing the role of technology in kids’ lives. Here she offers a way that will help parents survive the ubiquity of technology, curb their panic, and create room for a happy, healthy family life. Today’s children are exposed to more technology than any previous generation. They are photographed with smartphones from the moment they’re born, and begin interacting with screens at around four months old. Researchers have been quick to declare this the dawn of a neurological and emotional crisis, but solid science on the subject is surprisingly hard to come by. The truth is there’s no road map for navigating this territory. Kamenetz candidly addresses her own parental worries and tackles them head on by surveying hundreds of fellow parents on their practices and ideas, and cutting through a thicket of inconclusive studies and overblown claims. Most importantly, she discovers that the crucial questions of digital parenting aren’t only about our kids. They’re about our use of digital media, too. Are you embraced by the virtual village or menaced by the cyber mob? Is the phone a magical work-life balancer or a constantly bleeping attention-sucker? Is it a babysitter or source of fun, wonder and excitement for the entire family? In The Art of Screen Time she urges parents to discover the joy of screen time with their kids by considering it to be an ever-evolving practice. This is the book Kamenetz wishes she’d had when her firstborn arrived: a clear and nonjudgmental take on an issue that faces nearly every parent today. With this book she offers just that — a resource to help us navigate the rocky shoals between fear and hype, and untangle the growing role of digital media in both our family lives, and our individual lives, period. Anya is endlessly curious about learning and the future. Her forthcoming book, The Art of Screen Time (PublicAffairs, 2018) is the first, essential, don’t-panic guide to kids, parents, and screens. You can preorder it now! Generation Debt (Riverhead, 2006), dealt with youth economics and politics; DIY U: Edupunks, Edupreneurs, and the Coming Transformation of Higher Education (Chelsea Green, 2010), investigated innovations to address the crises in cost, access, and quality in higher education. The Test (PublicAffairs, 2015), is about the past, present and future of testing in American schools. Learning, Freedom and the Web, The Edupunks’ Guide, and the Edupunks’ Atlas are her free web projects about self-directed, web-enabled learning. Anya is the lead digital education correspondent for NPR. Her team’s blog is at NPR.org/ed. Previously she covered technology, innovation, sustainability and social entrepreneurship for five years as a staff writer for Fast Company magazine. She’s contributed to The Village Voice, The New York Times, The Washington Post, New York Magazine, Slate, and O, the Oprah Magazine. She was named a 2010 Game Changer in Education by the Huffington Post and won 2009, 2010, and 2015 National Awards from the Education Writers Association. NPR Ed won a 2017 Edward R. Murrow award for Innovation from the Radio Television Digital News Association. She appears in the documentaries Generation Next (2006), Default: A Student Loan Documentary (2011), both shown on PBS, and Ivory Tower, distributed by Participant Media. 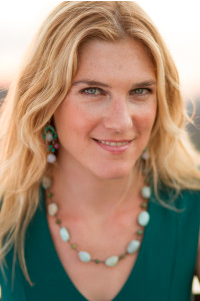 Anya grew up in Louisiana, in a family of writers and mystics, and graduated from Yale University in 2002. She lives in Brooklyn with her husband and two daughters.